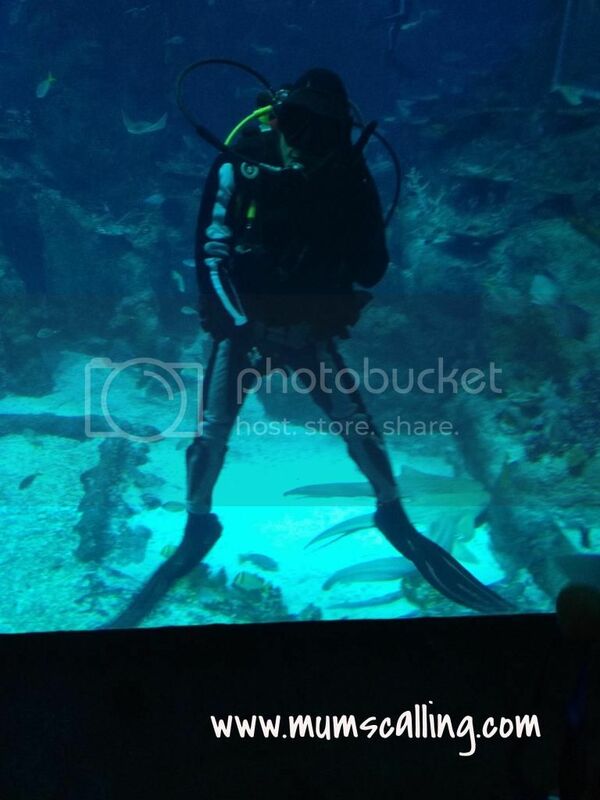 We dived to the S.E.A aquarium in Resorts World Sentosa last weekend. It was a pleasant journey in and out of the waters. After surfacing, it seemed like Underwater World takes a back seat now. Like a Chinese saying goes, 一山不能藏二虎 （Two tigers cannot exist in a mountain). The welcoming sight into the realm of marine life wasn't much of an expectation for us. We were introduced to a level named as the maritime experiential museum, where bustling ports along the silk route were recreated. The then traded goods and culture were extensively displayed for visitors to appreciate its history. Everything seemed almost unrelated to the purpose of our visit that day. The man joked that they probably changed their mind after building this much. While purchasing another ticket over the counter, we paid an additional of $2 for a typhoon theatre experience within. No idea what we were in for, it simply stated a 360 degrees screen shipwreck simulation enhanced by special effects. Skip this if your very young children are terrified of darkness, loud sounds and flash lighting. Else, I think it's a meaningful link to bringing us into the ocean deep down. It was only after this typhoon experience that we understood the initial sightings. The silk route, trades and shipwreck were brilliantly weaved into an unfolding story. Our Mother Earth is made up of 70% water, a walk through the aquarium unfolded the magic and stories of the marine life within. Deep in the ocean unveils a beauty. 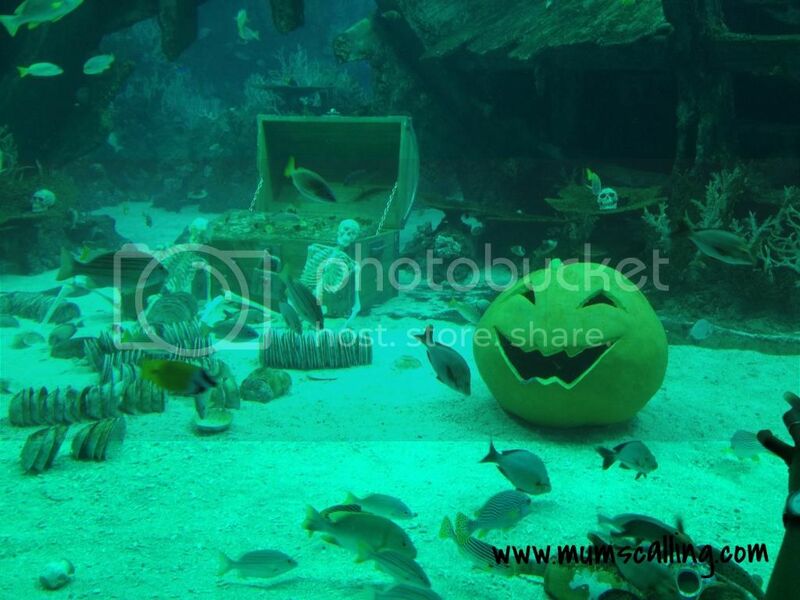 We were coincidentally visiting near Halloween, the aquarium was donned spookily with pumpkins and skeletons. 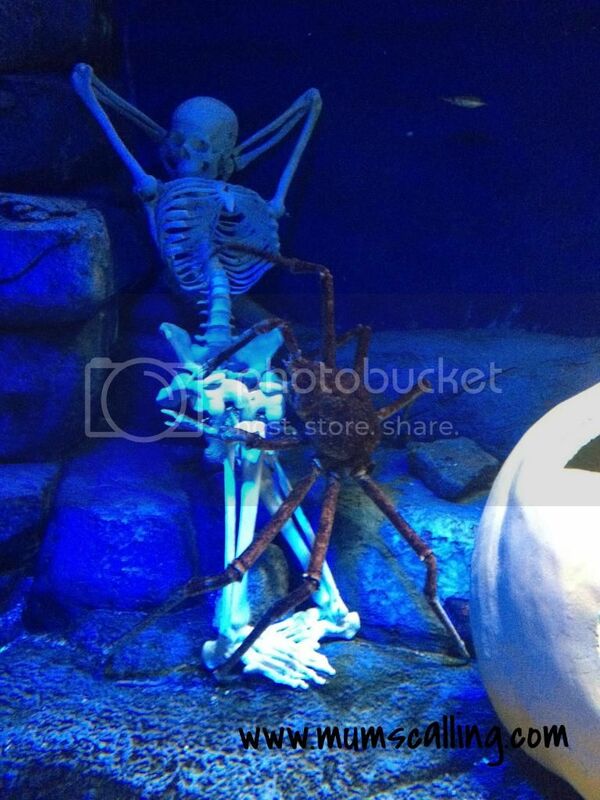 Even divers slipped in their skeleton suits. Js were given a little activity map to identify and visit the 'spooky animals', as well as the trick and treat stations. About 4 stations that day. 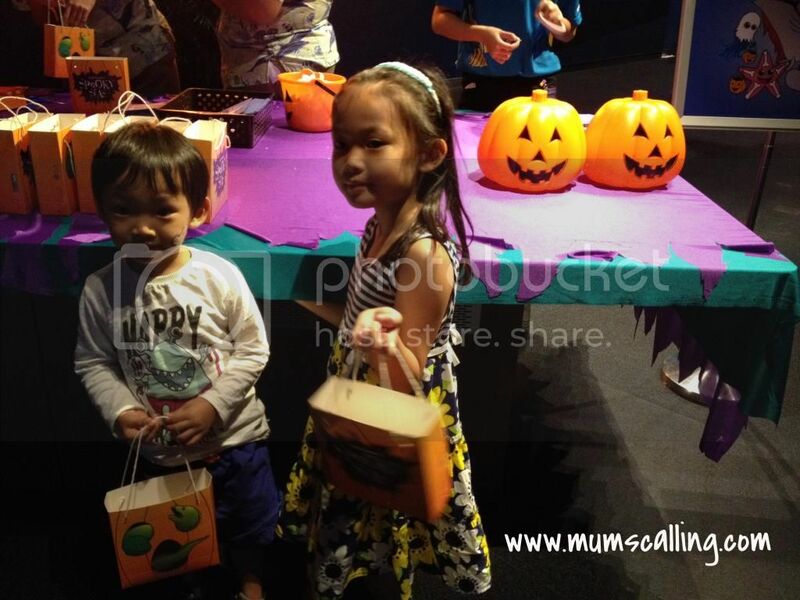 Collecting candies sure got them smiling ear to ear. The ocean journey was very impressive. Just a tour within, I can't help but to think of the good old days when we frequent the Monterey Bay aqaurium in California. Same but different. Having greater focus on sustainability, young kids' activities or a kiddy corner in S.E.A aquarium would be more attractive to locals, not just tourists. 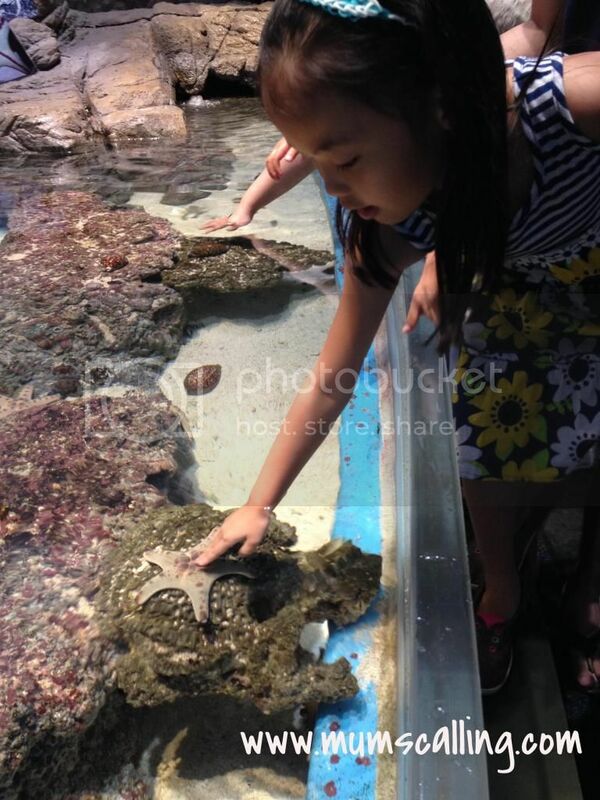 There was a discovery touch pool for visitors to get fingers close with sea stars. Was hoping to touch a sea urchin, but it probably decided to sleep in that day. No signs of it. We journeyed further to explore the realm of the blue, most impressed with the bottlenose dolphins and the really interesting sawfish shark. Try spotting them if you make a trip there. We left the camera at home that day, it's a pity we didn't capture excellent pictures with our mobile. It feels rough, sandpaper maybe? A memorable takeaway I had was walking across a floor of glass with swim creatures beneath my feet. That was really cool! There's just so much to explore and great knowledge to attain on our blue planet. 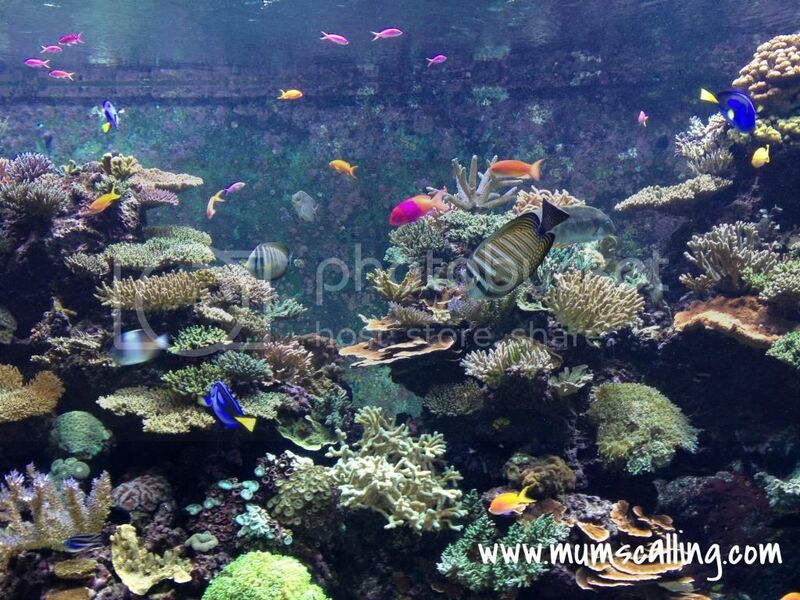 S.E.A aquarium is home to more than 100,000 marine animals of over 800 species, across into 49 different habitats. A lovely place indeed. It's very well built up to create that almost like, diving in the ocean experience. A very magical feel. It's also very wheelchair and stroller friendly. Weekend crowd was rather manageable that day too. 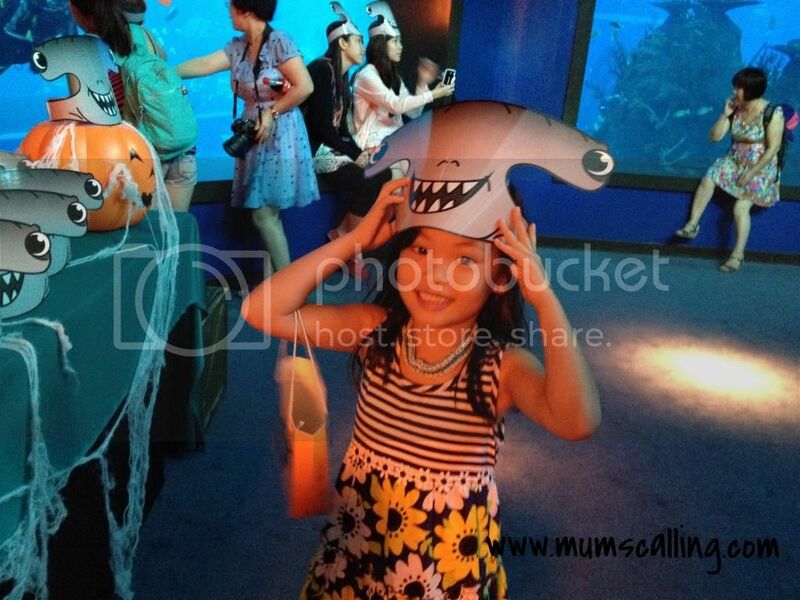 This aquarium journey is an experience our little ones should not miss. A good time to teach and talk about sustainability too. 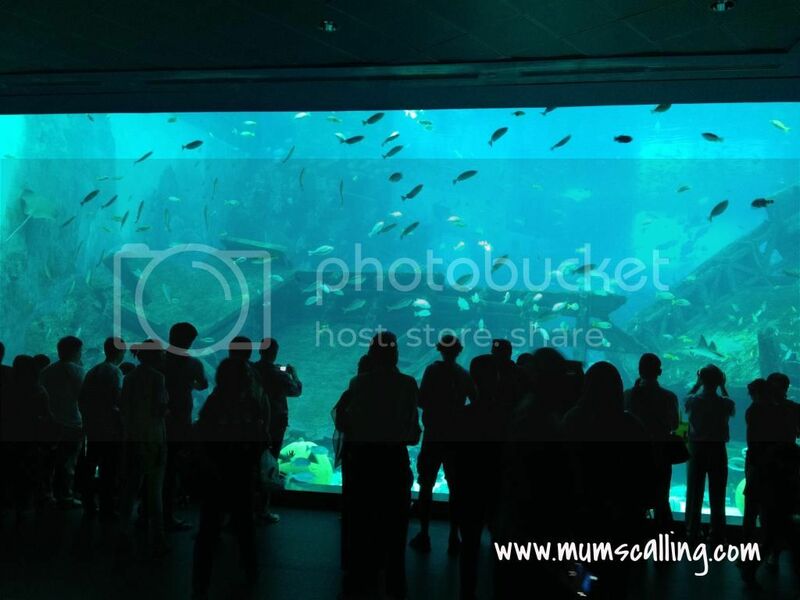 We had 2 S.E.A aquarium passes upon signing up for the RWS invites member. You may check out their other promotional pricing here. Churning out a next post soon on our dining experience in Ocean restaurant. Other than restaurant, there were a few snack stops where you can grab quick food like sandwiches, pastries, fishballs, nuggets etc. If not, head out for meals, the variety of food choices never runs out in RWS. We spent about 2 hours (excluding lunch) in the aquarium, which was very well paced. Plan a visit soon. If you wish to experience that spookiness.